Climate Crisis Spurs UN Call for $2.4 Trillion Fossil Fuel Shift | "Global Possibilities"
Carbon capture and storage technology should be deployed to absorb remaining fossil-fuel emissions. Natural gas could maintain an 8 percent share of electricity generation if CCS reduced total global net emissions to zero by 2050. 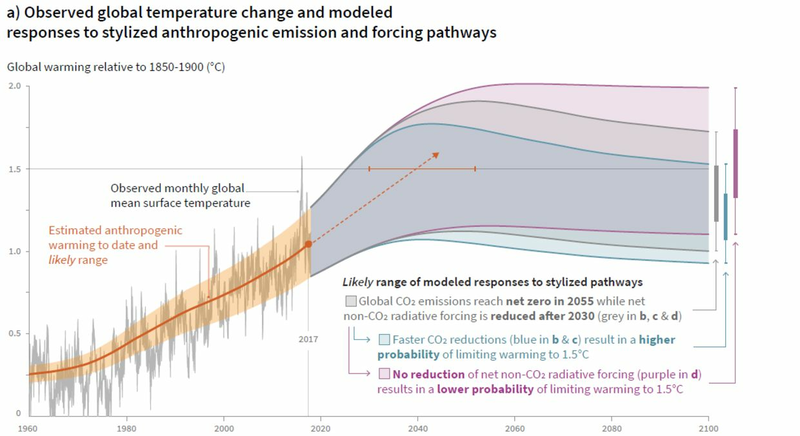 Chart from IPCC’s report shows CO2 emissions for various scenarios to keep global warming to 1.5 degrees Celsius.